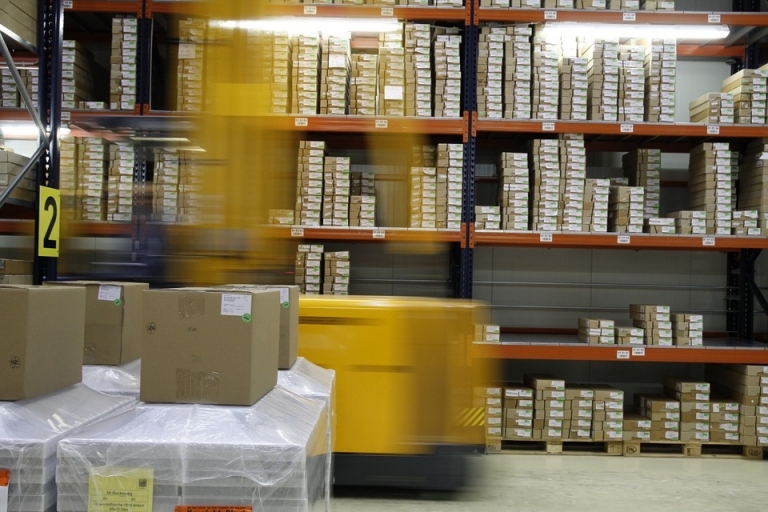 Your warehouse is the physical backbone of your business, with an ever-present effect on the bottom line. How well you manage your inventory and how efficiently you move that inventory through your warehouse will play a pivotal role in how well your business performs. So how do you make the most of your warehouse storage? Having more space than you need is more of a hindrance than a help. First and foremost, it means you’re paying to rent more space than you need. But another, often-overlooked side effect is the tendency to fill that space unnecessarily. When there’s space, things accumulate, whether that space exists at home, in the trunk of your car, or in your warehouse; it seems to be one of the unwritten rules of the universe. This unnecessary accumulation in your warehouse doesn’t just mean dollars and cents are spent on things you don’t need, it also leads to clutter. Clutter, in turn, creates an obstacle that your workers and equipment need to go around. Ultimately, that leads to a decrease in efficiency, driving up costs indirectly by increasing the time it takes to fill each order. With less space, businesses have to be more intentional about how they organize their materials. Using warehouse racking allows you to optimize your warehouse layout so that things flow effectively and efficiently. Warehouse shelving can be a secret weapon for your business, allowing you to make the best available use of your space. Right off the bat, it’s going to cost less to invest in new warehouse racks than it is to rent a larger warehouse space. The right warehouse racks will also allow you to better use the space you do have, chiefly by allowing you to expand upward and maximize vertical space. Suddenly, that small footprint you were worried about becomes a lot more versatile. Once you have your racking setup, it’s important that you choose the right containers for loose items. Here, as elsewhere, you don’t want to leave empty space. If all of your containers fit perfectly on your shelves, but they each have two small items rattling around inside, there are better options available. By using containers of various sizes, you can craft storage that’s built to accommodate your specific needs. It’s also important to keep everything visible. In the quest to use every square inch, it can be tempting to place items behind other items, promising yourself that you’ll remember where everything is. That’s a promise that quickly becomes difficult to keep. Try to avoid these hidden items when laying out your warehouse, and consider investing in fluted mesh panels for your warehouse racks to give yourself more options. Lastly, always give thought to the retrieval process. By keeping items that are commonly packaged together close to each other in your warehouse, you’ll reduce the number of trips your employees need to make. The minutes and seconds saved on each order add up quickly. For more information on setting up your warehouse and purchasing warehouse racks, contact Benco Industrial Equipment here in St. Charles, MI toll free at 888-9-GOT BENCO (888-946-8236).